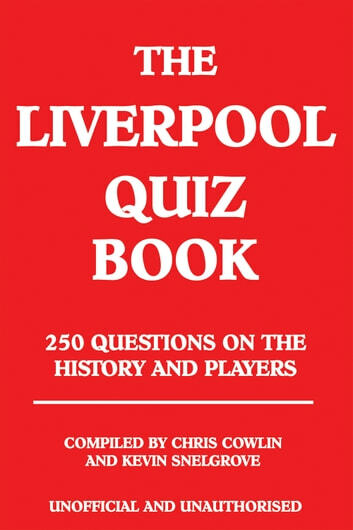 Is Liverpool your favourite football team? Have you watched every match? Are you an expert on all the facts, figures and fixtures that have shaped the club’s long history? 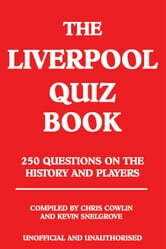 Then the time has come to find out how much you really know about the people and places that have helped to define the Reds through the years.With 250 testing questions covering every aspect of the club, from unforgettable players, top goalscorers, memorable managers and difficult opponents to League positions, honours and awards, this book can’t fail to turn up one or two surprises alongside all the well documented facts.Packed full of information, The Liverpool Quiz Book is certain to prove a hit with football fans of all ages, whether you want to impress family and friends with your knowledge or simply find out more about the team you support.This tribute to Liverpool FC is a must-have for all fans of the Reds and anyone who is interested in learning more about this successful football club.